How does one go about purchasing a poodle puppy? I know in the years of breeding I have found that there is much confusion on this matter. So what is the proper Puppy Buying Etiquette? The first mistake is that puppy buyers say that they need to buy a puppy by a certain time: in the spring, by Christmas, for summer when the children are home, etc. So they start looking for a puppy a few weeks or even months ahead. STOP LOOKING FOR A PUPPY! Yes, stop looking for a puppy and start looking for a BREEDER! Are all the breeding dogs health tested? Does she has a passion for what she is doing? Once you have found and connected to the right breeder, and hopefully you support breeders who ‘”Do it right,” then wait for the right puppy. Expect to wait for a puppy. Very seldom will you find the right breeder and she just happened to have the right puppy for you at the time you wanted. I have waited for the right puppy over a year. Yes, breeders have to wait for the right puppy also. To obtain the right puppy we all have to wait and we all have to be matched to the right puppy. Once you have found the right breeder then you will need to start a communication through email and phone calls. What should you as the puppy buyer communicate? First, that you are ready for a puppy. Second, you are ready for a puppy of the breed your breeder is breeding. Third, you understand what sets this breeder apart from the other breeders and you share the same commitment. Let her know what your plans are for the puppy. Be very truthful. What if the breeder does not feel that her breed is the right one for you? Listen carefully as to why she feels that way. A good breeder knows her breed and she desires for her puppies to go to homes where they can grow and fulfill their full potential. You also want a puppy that will become a dog that is a companion that you develop a deep bond with. One that relives stress, not create it. After the breeder explains why and you see that the the reason makes sense, go back to the drawing board and be very honest and humble with yourself about what kind of dog would really be right for you and your family. Once you found the right breeder you can stop the hunt for a breeder. Please be honest with your breeder and do not be putting yourself on more than one waiting list. You need to understand that we breeders need to know that you are just as in love with our puppies as we are. 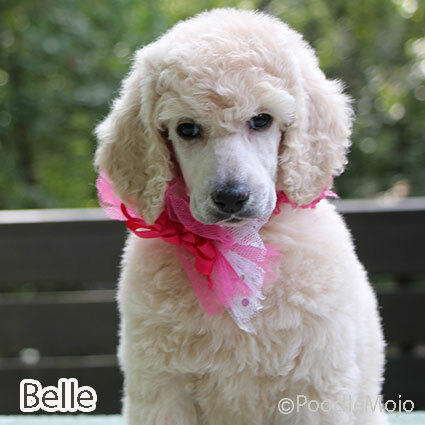 Meet Belle, daughter of Bianca & Bently. A puppy bought the RIGHT way! We breeders who “Do it right” have put many hours and much money into bringing our puppies to the point of finding their forever home. We start by first finding the right dogs, researching pedigrees and their health lines, then raising, training usually from puppyhood. Next, each breed has a line of test that needs to be done on each dog to make sure that they qualify to be bred. 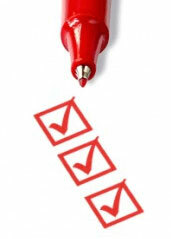 If a breeder tells you that she does not need to do test on her dogs because she knows they come from good lines – RUN. A good breeder should always be wanting to better the breed she is proliferating. It is not uncommon that after she has done all the research and she feels sure that the dog will be great for her breeding program that the dog fails some test that makes it not qualify for her strict breeding program. Without each dog being tested a breeder does not know whether she is breeding a qualified dog or not. Temperament is so important. So a good breeder usually grows her breeding dog from puppyhood. The exception is if she has a good relationship with the breeder that she may be obtaining an adult dog who knows that this dog would be the right addition. As she works with the puppy/dog in training and everyday life she will become familiar with all it’s traits. A good breeder knows that you have to know which two dogs to put together to grow the temperament that is so desired in her program. This is easier said than done. A good breeder wants a beautiful, good form, well balance dog AND a perfect temperament dog. A poor breeder thinks that any two dogs together will be fine. So we finally have the two dogs that we are going to breed, (Oh, there is so much more that we have to do and go through. I just do not want to bore you.) and we finally have the puppies on the ground, now we have so much more work to do to bring you the well adjusted and happy puppy they we have pictured in our mind as having the perfect home. We have to take pictures, write our prospective puppy buys lots of helpful instructions, train the puppies so that when they go to their new home the new owners will breeze through the house training and enjoy their new addition. Because a breeder has worked so hard to bring these puppies into the world to make wonderful companions to some very fortunate family their first commitment is to their puppies. Show People will first cater to other Show People and then to Pet People. That is why waiting list are so important. So please read OUR Puppy Protocol so that you know what our procedures are.